We are proud to announce that the latest issue of the Ancasta Collection magazine has landed including features on: visiting the East Coast of Mallorca, the ingenious Raymarine Docksense, many boat shows, shared ownership solutions and a lot more. 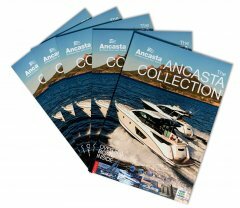 Of course there are also over 500 listings of new and used boats for sale to help whet your appetite! To get your hands on a copy, you can sign up to MyAncasta and opt in to receive mailings by post OR you can drop into your local Ancasta Office. For an E version, you can see HERE.